This is a month when you will tend to go with your heart rather than your head; you can be quite irrational at times, but you will feel good about the decisions you have made. Often things will make sense to you even if you cannot explain why. This is a month of fast-paced activity, and you will have ample energy for what you need to do and to help others. Helping others and selfless activity is a theme of this month, and it brings rewards in unexpected ways. Often work you do pays dividends regarding satisfaction rather than in monetary ways. You may work more with women this month than usual, and these may even be women in your family whom you team up with to pursue a business or a family goal. You are powered by ideas in February, and this is a great time for projects that involve writing, speaking, or anything which is communication intensive. You can sell an idea or inspire others with a message. One problem right now is that you are hot-headed; you can jump the gun and will tend to be in attack mode. You may be inclined to be argumentative, but that reflects your intuitive drive behind your thoughts and your belief in them rather than a need to argue for the sake of it. You can achieve a great deal this month if you work with others and use your energy to direct action. You will be the leader in the groups you become involved in. While you put forward ideas with vigour, you should win more support than opposition as you are in tune with the public mood and the mood of those around you, all of whom want to see results. This is a time of culmination in relationships; things will reach a point of no return. This is certainly a time when you will know if you are going to quit a relationship or if you want to make a firm commitment. Relationships this month will generally not be equal; for many reasons, you will have to put in more work, more effort, and more emotional energy into resolving problems and keeping the relationship on track. Your partner may have a physical ailment or be going through an emotional crisis, and you will have to offer support, nurturing, and even care, i.e., nursing a partner. Often, having to deal with a partner who is temporarily weakened can appeal to an Aquarian’s sense of being a saviour and can enhance the relationships. Intimacy and understanding will increase this month in all relationships, and even if relationships have struggled, this month can bring eureka moments when things finally make sense, and you can get beyond hurdles that have been there for many years. 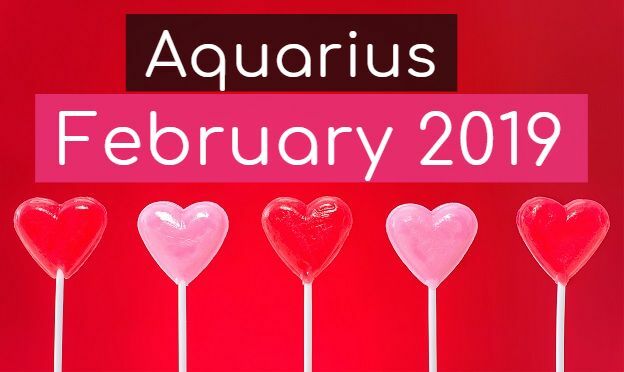 This is a month where may Aquarians can fall in love with a patient, i.e., nurses, doctors, psychologists. That patient-caregiver boundary can become blurred very fast and could lead to a full-blown love affair. The intimate connection a caregiver has to a patient is closely linked to feelings of love and an Aquarian can be quickly drawn into the feelings of being protective, which turn into feelings of love. In any career, the personal touch is vital. If you are a nurse or in a caring career, this is a month when your unique skills regarding offering comfort, calming people in distressing situations or giving emotional guidance are more important and also more demanding than ever. Even for those of you in careers like law, you may find you are more drawn into your client’s problems on a personal level. This is definitely not a detached time for you at work as you will encounter real issues close to your heart or perhaps close to a family member, and that will mean you are far more emotionally connected to what you do. This will mean you will work a little differently and perhaps less objectively, but all the same, you will have that little bit extra care and concern which could make a very big difference. In admin jobs, you may find yourself running personal errands for your boss or having to cover for a colleague who is having trouble in their personal life which is impacting on their work. In general, Aquarians will be inspired by the closer interaction with the public this month – in whatever career you are in, you will see how your work affects real people, and so it will not just be about sitting in an office making decisions, you will have to confront the consequences and often account for them directly to those affected. This can be daunting and give you a new level of accountability; it can also be rather eye-opening.